Does it seem like the only time that things get intense in your relationship is when negative things happen? This kind of experience, repeated over time, can literally train your brain to be in a hyper-vigilant state when your partner is around. So how can you rewire your brain to experience your partner as intensely positive? And how do you switch from a pattern of complaining to a pattern of wish-granting with your partner? 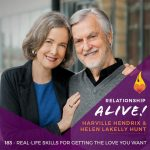 In today’s episode, Harville Hendrix and Helen LaKelly Hunt return to answer these important questions. 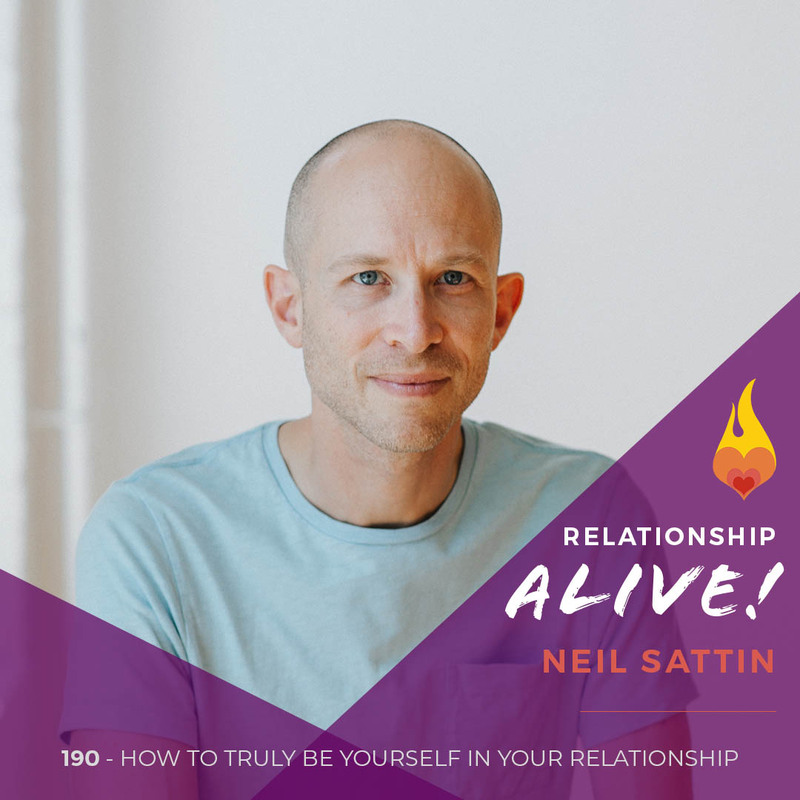 We cover one particular exercise that you can do with your partner (that Chloe and I experienced in their Getting the Love You Want workshop at Kripalu) that they’ve never talked about in an interview! We also discuss tips from their new book, The Space Between, which offers a succinct explanation of how to apply the fundamental lessons from their work in your relationship. 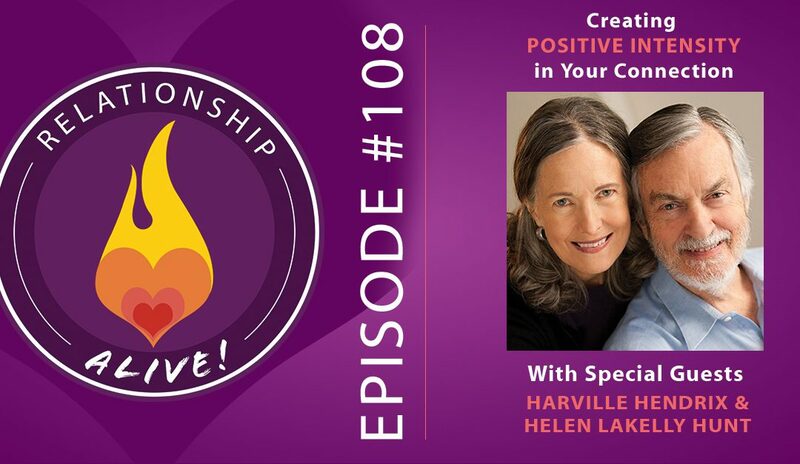 Click here to receive the Harville Hendrix and Helen LaKelly Hunt show guide! Positive Flooding: Positive flooding is a brain exercise that produces dramatic shifts in how partners relate to one another, especially when it comes to trust and safety. So often when we are desiring certain changes in our partner we come at them with criticism and complaint. What happens when instead we communicate from the parts of our brain that can appreciate our partner’s strengths and contributions? By acknowledging all that your partner is doing right it becomes increasingly safe to discuss more vulnerable and difficult topics. When we move ourselves into the dorsolateral prefrontal cortex- the region of the brain that houses curiosity and openness- we can create a sense of connection with our partner that is non judgemental and more collaborative. Given that energy follows intention, and that what we focus on becomes what we get, it is our responsibility to choose where we place our attention. Step 2: Spend 1 minute commenting on all the features of your partner’s body that you appreciate (their hair, the curve of their nose, their bright eyes…). Speak with natural volume. Step 3: Spend 1 minute identifying and expressing your appreciation for all of your partner’s traits that you find amazing (their warmth, their intelligence, their kindness, etc). Raise your voice as you do this to medium volume. Step 4: Speak, in a really loud voice this time (nearly shouting), about behaviors and things that your partner has done that you really appreciate. Step 6: End the exercise by standing and sharing a one minute long hug. Then switch. Intensity without aggression: The Positive Flooding exercise is a way to rewire people’s nervous systems. There is a certain intensity to this practice as it has a lot of energy to it- and yet, it is all with positive intention. Throughout the exercise both people will likely have a sympathetic nervous system response in which their energy is elevated and their body may perceive threat. At the same time however, the body begins to register that the intensity is coming from love, and this, along with the hug at the end, activates the parasympathetic response which helps to calm and re-regulate. In this way both people learn to respond, physiologically and psychologically, to intensity with appreciation versus apprehension, thus giving people a different embodied memory of intense energy. Positive flooding in everyday life: Play around with positive flooding in everyday life by expressing something intensely positive to each other a sentence at a time throughout the day. 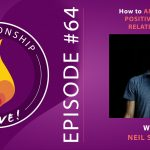 The point is to direct intense positive and loving energy at your partner on a regular basis- because positive venting creates body memories that provide a sense of bonding, versus disconnection. The more you do this, the more you build up a storehouse of memories that reflect a positive quality. As you increase the repertoire of positive memories you increase the memory base that helps inform the association of safety and love, versus danger and hurt and this way your partner will intrinsically tend towards feeling open versus on alert during your interactions. Memory making: Ask yourself- what kind of memories do I want my partner to have of me? Once you have clarity on the quality of these memories, check in on if you are taking responsibility in your actions to make sure these memories are being created. In what ways are you being caring, and in what ways are you being careless in your relationship? We have the power, for better and for worse, to populate our partner’s memory system in such a way that their brain organizes and remembers us in certain ways. Knowing that the brain wires around experiences that have emotional intensity as these are the ones that trigger endorphin releases- what type of intensity are you allowing into your interactions, and is it aligned with what you ideally want? Stay out of the lower brain. The lower brain is wired for impulse and it’s motto can be described as ‘my way or the highway’. If we are not able to regulate ourselves when we encounter triggers, we often lose neural contact with the upper brain- that part of our brain that houses wonder, curiosity, and the ability to think flexibly. Exercises such as positive flooding help us to train our brain to more quickly recover from intensity and to stay in a creative and open place even on the edge of a trigger. The more you exercise this ability to stay out of the limbic brain, the more able you are to stay connected to your partner even in difficult conversations. Wish in disguise: Most, if not all, of our frustrations are truly just wishes in disguise. The frustration itself points to a need that was not met, and a desire for this need to be acknowledged and addressed. 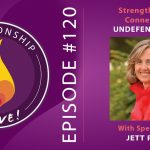 If you go directly to the frustration your partner will become defensive, however, the more you can learn to listen for the disguised wish, the more collaborative the process can become. Some couple’s first learn to do this in a very structured process based on the template of dialogue process of mirroring, validating, and empathizing. To start, identify the frustration/complaint, then change this into a wish. Once the underlying wish has been identified give your partner 3 behaviors which would respond to the wish. While frustrations usually have very limiting and specific focuses, wishes and needs are often able to be fulfilled in a myriad of ways- get creative! 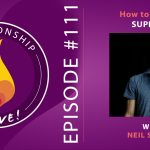 Giving your partner options allows them to feel some agency and capability in actually being able to give you what you need- something that many people struggle with as they have become shut down around their ability to give and support. Heroes and Sheroes: Almost everyone in a relationship is longing to be a shero/hero in their partner’s life. Unfortunately the negativity and failed attempts due to poor communication beats them down and makes them feel unable, incapable, and therefore, unwilling to try. Trust that your partner truly does want to come through for you. They are ready to be invited in as a support and will welcome the opportunity you offer by sharing what you need and ways they might step up. Sender Responsibility: For most of us, not being able to ask for what we want in our relationship is the greatest problem. As you begin to practice asking more for what you need/desire/want, remember that it is not as much what you say, but rather how you say it. As the ‘sender’ be responsible with your frustrations and remember to speak with a kind tone of voice, soft eyes, and respectful language. 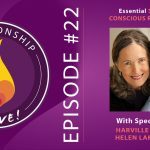 The more intention and love you put into HOW you speak, the greater the likelihood that your partner will get curious about what you are sharing and feel open to doing what is being asked of them. Practice asking for what you need: In order to build the ‘I deserve’ muscle, begin practicing asking for small things so that you can get better and better at asking for the bigger things. Find tiny requests you can make that do not have a strong emotional charge, and practice asking for these things with intention. 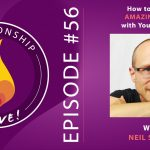 This will help get you into the habit of turning your frustrations into wishes and opportunities for clearer communication. Furthermore doing so not only will mean that your partner will finally understand and have the chance to show up for you, but you will actually get what you need and want! Win-win.